One of the more unexpected presents I found under my tree this Christmas was the book Star Wars: Jedi Academy by: Jeffery Brown. Brown has previously written and illustrated the popular Darth Vader and Son and Vader's Little Princess, collections of one panel comics that show Vader's life as your run-of-the-mill father, so I, naturally, was intrigued by the book. And just so we're clear, this book has zero relation (other than being Star Wars, of course) to the Jedi Academy video game or trilogy of novels by Kevin J. Anderson. The book is best described as part comic book, part journal, and part scrapbook. And it is fantastic! The story follows young Roan Novachez, a Tatooine native who dreams of becoming a pilot, but winds up on a journey to become a Jedi Knight. Sound familiar? Well the comparisons between Roan and Luke and Anakin Skywalker pretty much end there. The book is written from an 'in-universe' style, as if it were Roan's Journal. Some of the entries are written like typical journal entries, while others are drawn out as a comic book. On top of that it includes 'artifacts' from Roan's first year such as school newspaper covers and letters from home. 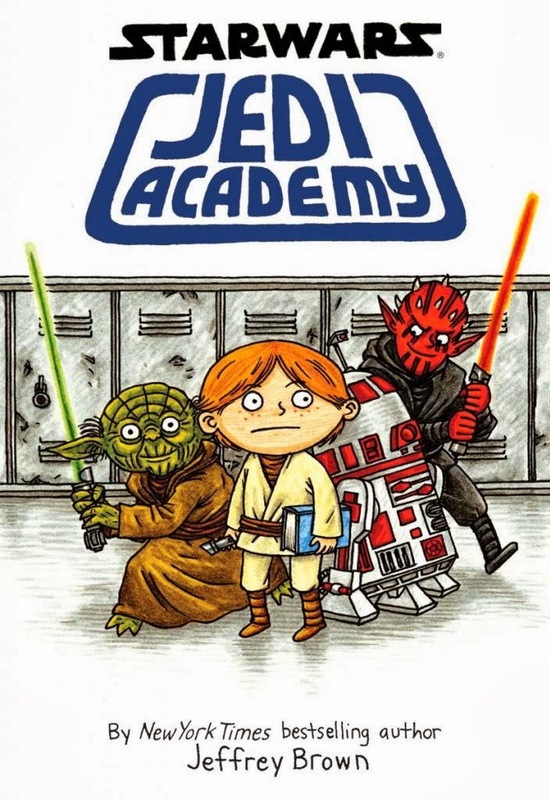 Jedi Academy follows Roan through his first year at the Jedi Academy and covers everything from lightsaber classes to the science fair to gym class taught by a Wookiee! Brown injects just enough Star Wars into common middle school occurrences to make the book laugh out loud worthy no matter how old you are. That being said there are plenty of other elements to amuse older fans. For example, when Roan describes his first impressions of Master Yoda he includes the comment that Yoda "looks like a puppet." (I hope I don't have to explain to you why that's funny!) On top of that there are references to real world things, such as famous works of art, that will provide adults with a laugh but may go over the heads of younger readers. Cool book! My child loves to read this with me and independently. 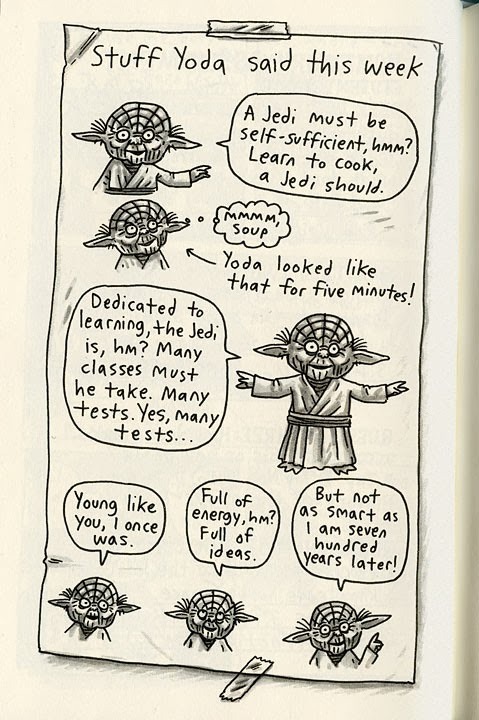 It is a fun look into the Star Wars world, with a different perspective of a middle school kid. We also have the other 2 books in this collection. Parents will enjoy reading this with their child.